We are very excited to announce that we will be having a Born From Fire exhibition in the West! 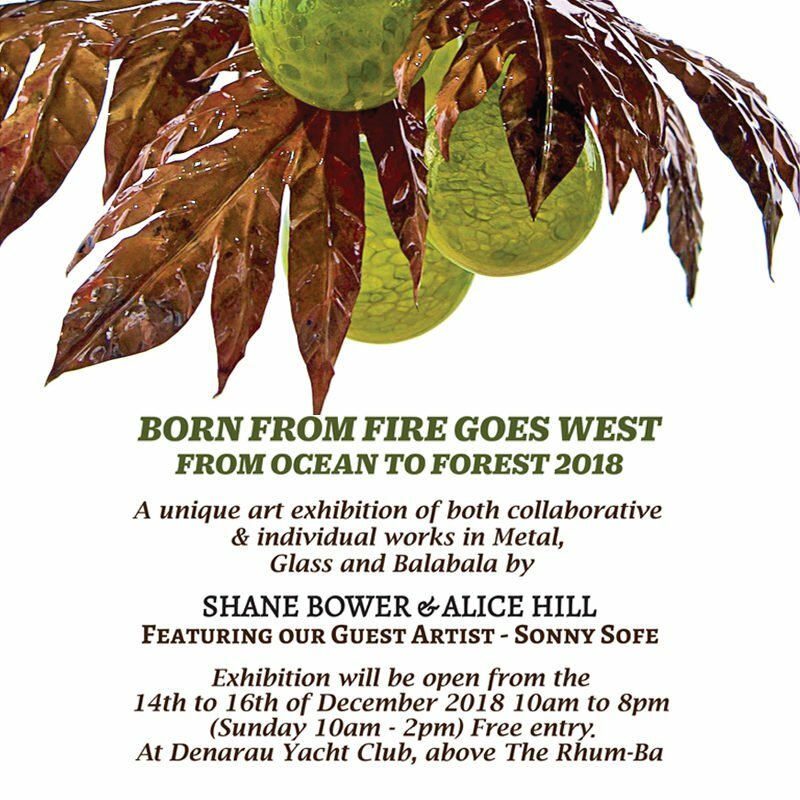 Shane Bower, Alice Hill and our guest artist Sonny Sofe will be exhibiting at the Denarau Yacht Club above the Rhum-Ba from the 14th to the 16th December 10am to 8pm (Sunday 10am to 2pm). We have been busy creating new pieces for the exhibition From Ocean to Forest. This entry was posted in Snippets from the Studio and tagged Born from Fire, From Ocean to Forest, hand blown glass. We’re in the West at Denarau Yacht Club… Born From Fire Goes West!